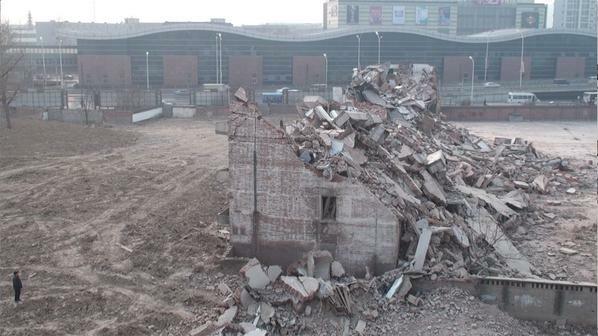 Poet Cong Feng invites you to take a tour of Beijing suburb Tongzhou, a city of debris. As he sees it, the municipality is constantly in the act of tearing down. 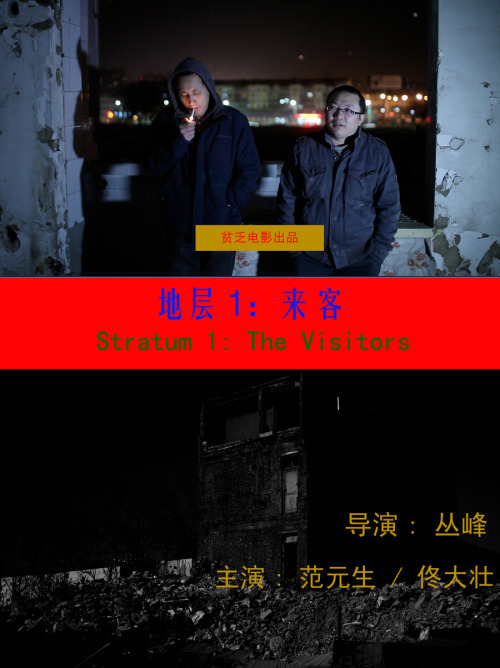 Lives and memories can be measured like sedimentary rock layers in Cong’s Stratum 1: the Visitors, which screens as part of Cinema on the Edge, the retrospective tribute to the Beijing Independent Film Festival. What started out as a more traditional documentary on the wholesale razing of neighborhoods became something more experimental when Cong faced the overwhelming wreckage of it all. 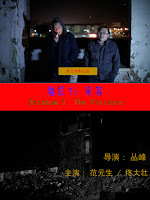 Throughout the film, he and his actor-narrators Fan Yuansheng and Tian Dazhuang remind us the ruined buildings also represent damaged lives. Without question, the film’s strongest sequence is the hushed telling of an episode that would be worthy of its own narrative film treatment. One of Cong’s colleagues remembers how injuries sustained during the Cultural Revolution caused long term psychosis in his mother. He recalls how the family dog would follow her during her impulsive flights into the nearby woods, returning home to lead the family back to her location. It is easy to see its crossover potential, like Coming Home crossed with Lassie. However, the story of the loyal canine is easily the most accessible aspect of Stratum. Cong takes a self-consciously avant-garde approach, but he is clearly mindful of the tradition. By the standards of the genre, he maintains a comparatively high energy level and at times seems to deliberately parody, or at least twist the conventions of experimental filmmaking, most notably with his use of video rewinds and peppy pop music. Most importantly, Cong, Fan, and Tian have real screen presence and a clear sense of purpose as the clamber over the ever growing mountains of rubble. If you have two or three dozen experimental film essays under your belt, you will likely appreciate Stratum for its archaeological metaphors and its powerful commentaries. If you are not well steeped in non-narrative, aesthetically challenging essayistic filmmaking, this will be a seriously tough slog. It is very good when judged according to its own standards, but it is absolutely not a starter film. One can only imagine the response Cong got if he ever showed it to a literal-minded censorship bureaucrat. Recommended for connoisseurs of the avant-garde, Stratum 1: the Visitors screens this Saturday (9/12) at UnionDocs, as part of Cinema on the Edge.